Details of any current job opportunities on or associated with Tristan da Cunha. 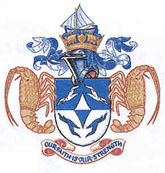 We publish here any Tristan da Cunha job opportunities. Please read our page of important information about Living on Tristan da Cunha before you contact us. This is a unique opportunity to work on the world's remotest inhabited island of Tristan da Cunha. Tristan da Cunha, one of United Kingdom's Overseas Territories has a very small population of 260 people and we are looking for someone to work within the community to provide a comprehensive social work service. The post, which is currently vacant, is a two year contract with paid leave (and return fare/flights to the UK) after 12 months. The package also includes housing and health cover. As the only social worker on Tristan da Cunha, the post holder will be required to work independently using their own initiative. The work of the post holder will be guided by the changing needs of the population of Tristan. A flexible approach is essential. Tristan da Cunha is a small island with limited resources. Immigration is necessarily tightly controlled, and there are few expatriate job opportunities. We have also advertised RSPB jobs for various posts in conservation.